O Canada! Nobrow will be at TCAF! Can you feel that? That steady hum of things coming to life, that electric excitement that’s crackling over the skies of Toronto? 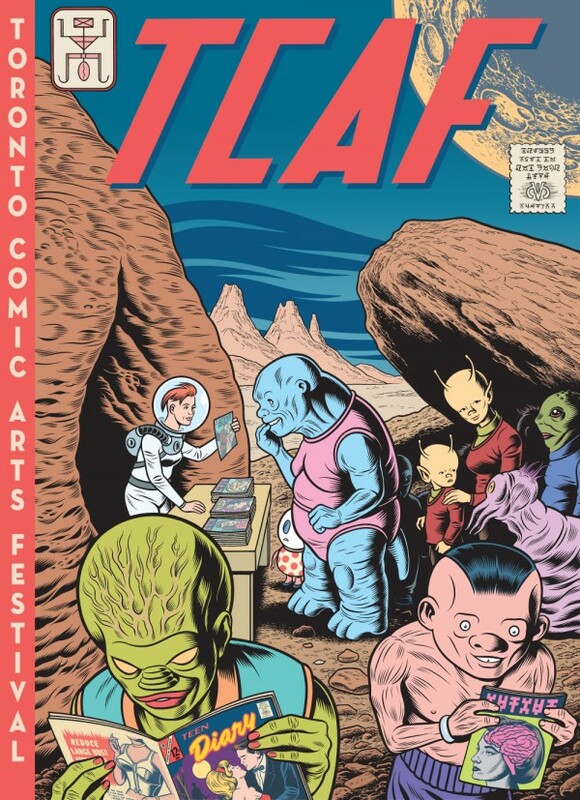 It’s time once again for Toronto to open its doors to the finest cartoonists in the world – that’s right, it’s time for TCAF! Nobrow will be at tables 118-119 to talk about how underappreciated Bruce McCulloch is and our favorite Nardwuar interviews. We’ll also be showing off a set of amazing debuts. We will have William Exley’s Golemchik and Andy Poyiadgi’s Lost Property, both from our 17×23 series, and we will also have copies of Victor Hussenot’s hotly anticipated graphic novel The Spectators. But that’s not all! New Nobrow Artist Wren McDonald will also be in attendance at the Nobrow table (118-119) from 2pm to 3pm on both days, signing copies of his new comic Cyber Realm. Make sure to stop by and say hello to one of our favorite new artists and his mustache! TCAF is one of the best shows to see the newest work from great artists all over the world. We’re so excited to be a part of it, and we can’t wait to see you there!